Surrounded by olive groves, Pantheon Villas and Suites offer a pool and elegant accommodations with fireplace, overlooking the Cretan Sea or the mountain. It is 0.9 mi away from Bali Beach and free Wi-Fi is available in all areas. 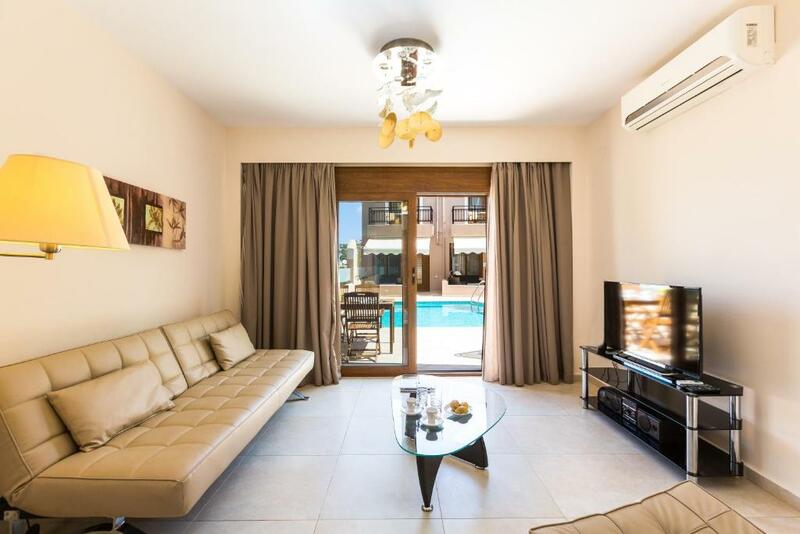 Warm decoration and lively colors are dominant to all the air-conditioned suites and villas. The kitchen features a refrigerator, stove and dishwasher, while a spacious seating area and a dining table are also offered. Barbecue and flat-screen TVs are featured in all suites and villas. A sun terrace with sunbeds is offered to Pantheon guests. Free private parking is available on site. 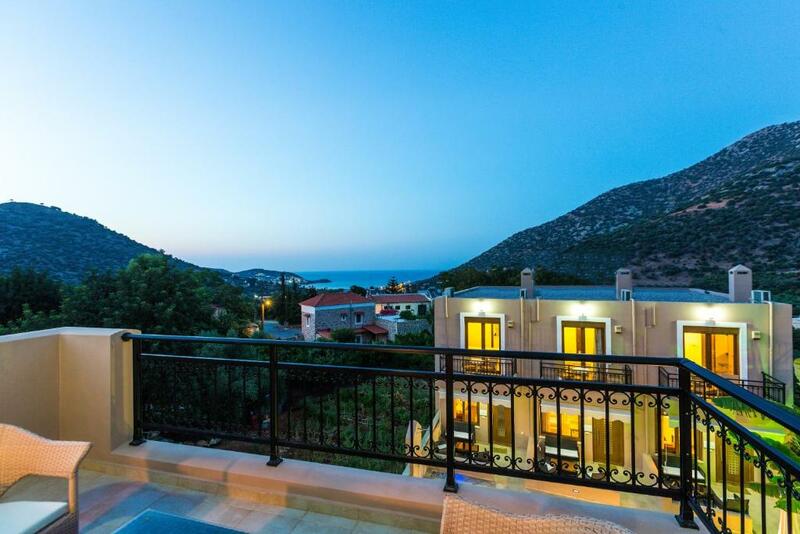 The suites and villas are located 2,450 feet from taverns and shops. The town of Rethymno is at a distance of 16 mi, while Heraklion International Airport is at 25 mi. 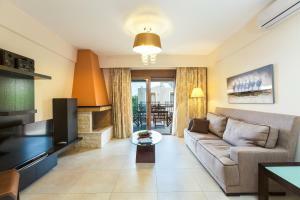 When would you like to stay at Pantheon Villas & Suites? 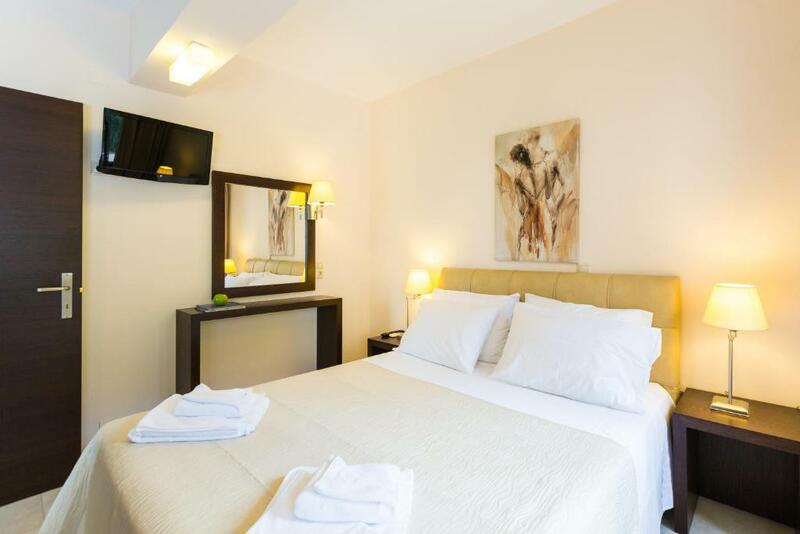 All suites feature separate bedroom with LED TV, fully equipped kitchen with dining table, large bathroom and a modern seating room with a 42" satellite LED TV and free Wi-Fi available throughout. Suites come with a wooden dining table at the veranda and have pool view. The spacious three-level villa offers 3 bedrooms. It features a fireplace, BBQ facilities, a fully equipped kitchen and bathroom. Flat-screen TVs with satellite channels and free Wi-Fi are available throughout. These units come with mountain, pool and sea view. 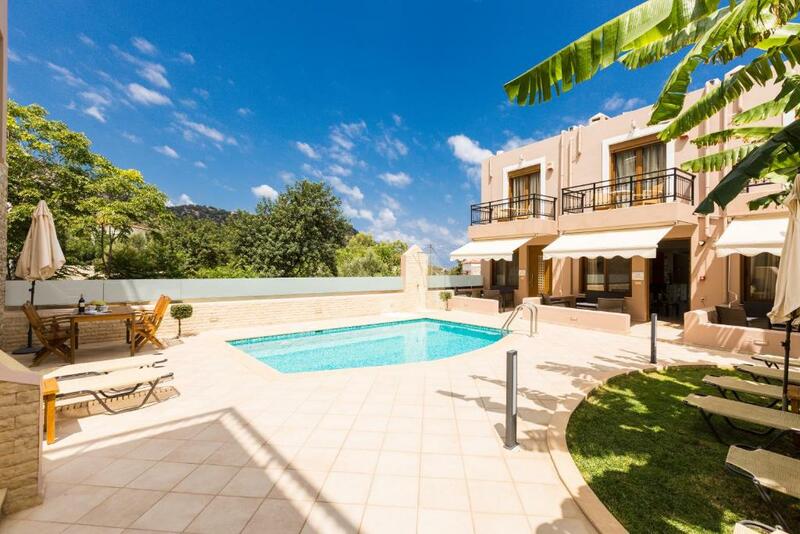 This very spacious villa offers 3 bedrooms in 2 levels. It features a fireplace, BBQ facilities, a fully equipped kitchen and bathroom. Flat-screen TVs with satellite channels and free Wi-Fi are available throughout. These units come with mountain, pool and sea view. 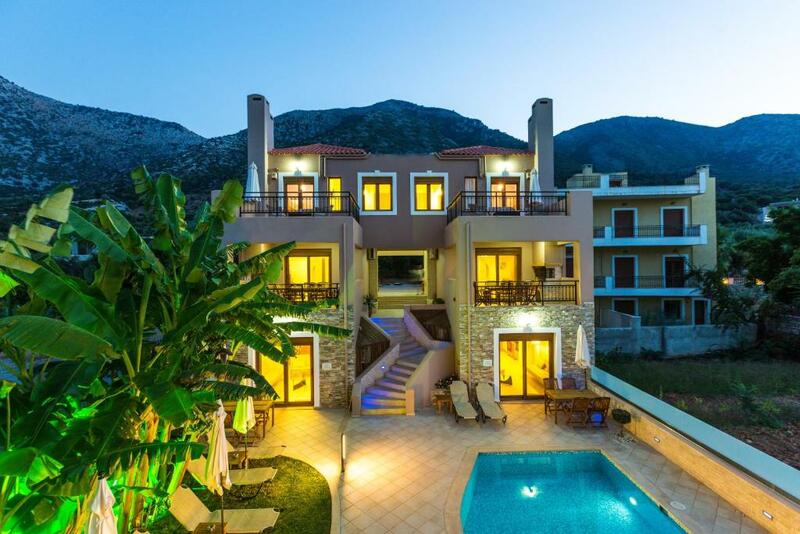 House Rules Pantheon Villas & Suites takes special requests – add in the next step! Pantheon Villas &amp; Suites accepts these cards and reserves the right to temporarily hold an amount prior to arrival. Pantheon Villas & Suites accepts these cards and reserves the right to temporarily hold an amount prior to arrival. Please inform Pantheon Villas & Suites of your expected arrival time in advance. You can use the Special Requests box when booking, or contact the property directly using the contact details in your confirmation. We need at least 5 reviews before we can calculate a review score. If you book and review your stay, you can help Pantheon Villas & Suites meet this goal. It was our first trip in Crete We really loved our stay (10 days) in the Villa Aphrodite. Everything is like it's describe and even better. You are more than welcome the first day, very surprised by the welcome gift (fruits, fridge already full for several breakfast depends if you are a couple or family) The owners are very nice ! We also loved Baboo Beach Bar opened in June by the owners. The Villas are located at 5 min by car from Bali. We didn't want to leave as it was the best holidays. I recommend Pantheon to everyone. Big thanks to the owners. at 12.00 there were still teens playing in the pool in front of our door, which was auite noisy.